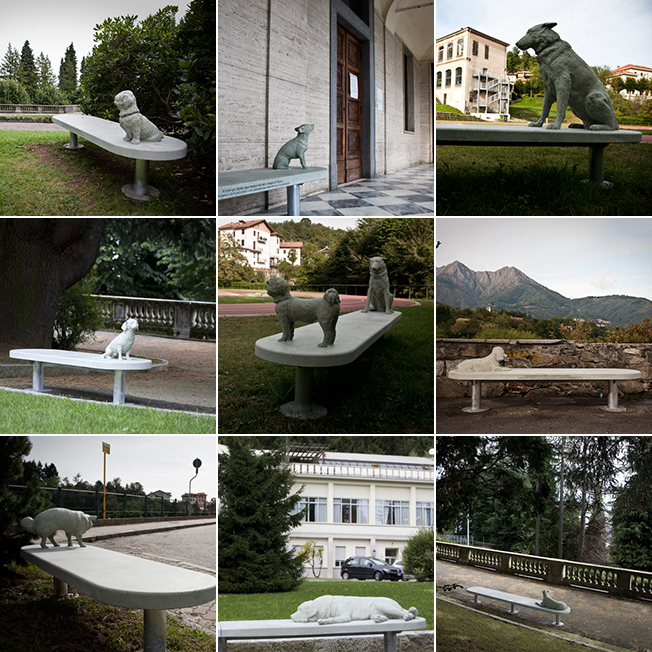 In 2009 Italian artist Alberto Garutti created a permanent installation in the town of Trivero, Italy as his contribution to the Fondazione Zegna’s ALL’APERTO (OUTDOORS) project. The goal of the project is to make art accessible to the community, and Mr. Garutti chose to incorporate dogs (hooray!) of local families because, in his words: “Through dogs, you also speak about owners and families, whom they reflect. 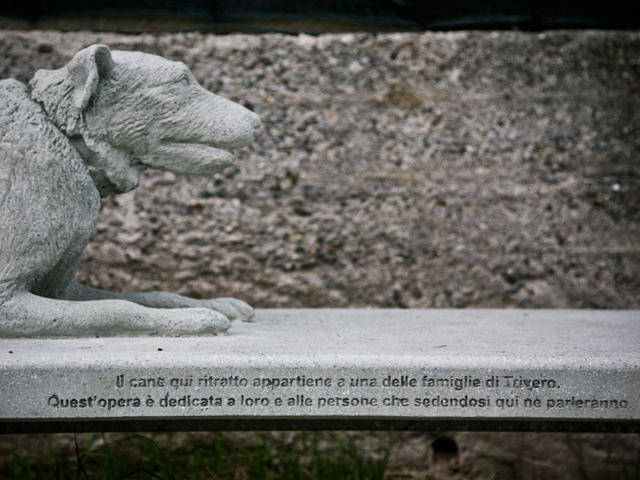 Dogs are also a great metaphor for art: they want to ‘socialize’ with everybody.” What a wonderful sentiment. I especially love the last sentence, because it’s a perfect parallel to dogs in our lives. If you have a few minutes, watch Mr. Garutti in the video about the project. There are English subtitles: http://www.fondazionezegna.org/allaperto/en/garutti/video.html. And if you happen to find yourself way up in the north of Italy sometime, visit Trivero and experience the installation for yourself! It’s a beautiful part of Italy. But then, what part of Italy is not beautiful?